We are delighted to offer delegates attending the AISB'03 Convention accommodation on the Penglais Campus, University of Wales Abersytwyth. Our accommodation is approved by the Wales Tourist Board at two and three star rating (good to very good) standard, and boasts a Welcome Host Gold Standard Award, so that you can be confident of our warm welcome, quality and high level of customer care. 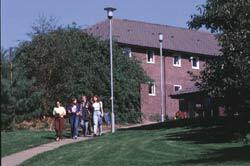 The accommodation is available from Sunday, 6 April 2003 (arrive) to Friday, 11 April 2003 (depart). 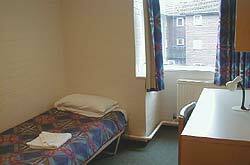 We have a variety of single standard bedrooms and single en-suite bedrooms available. 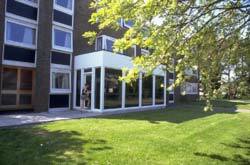 The accommodation is a short 2/3 minute walk from academic meeting rooms and Branwen's restaurant.